Adding many 20 foot long pvc pipes to the shade structure could make for great shade coverage of the Yurt and of our vehicles. 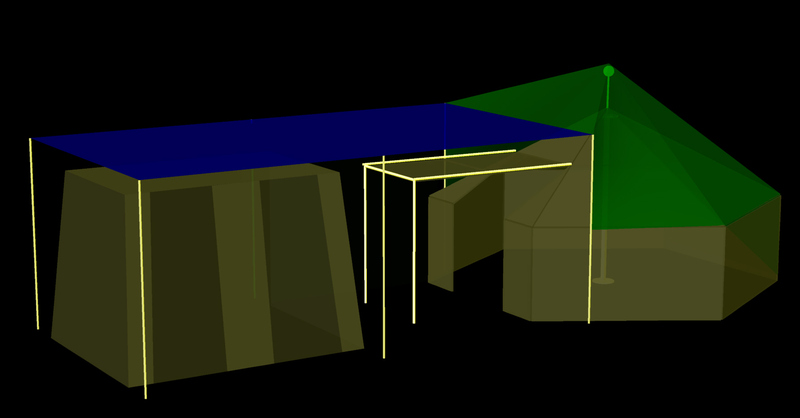 Here is Bill’s tent, my yurt and our potential shade layout for BM 2010. Yurt Rack for Accord Wagon Finally Complete! Comments Off on Yurt Rack for Accord Wagon Finally Complete! The Yurt Rack is finally complete! Now I don’t need to buy a trailer and hitch for the wagon! That saved me some serious cash! It looks very solid. 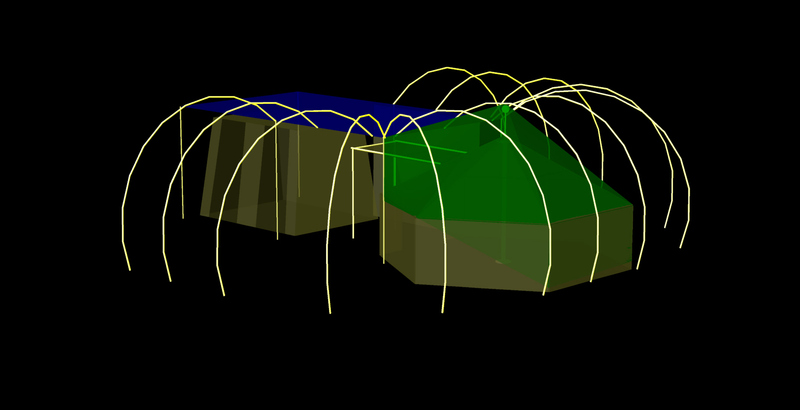 The side benefit is that there is a significant amount of storage space under the Yurt Rack for carrying shade structures. These are the structural aluminum brackets that Bill gave me years ago. They sure came in handy. This bracket had to be sunken into the stud because all three brackets are not mounted in a straight line due to their placement on the roof by the factory. This mod allowed the stud to be aligned in a straight line. The front bracket had to be sawed in half with my horizontal band saw since the 2 mounting studs were spaced much further apart from the factory. It did a great job. Don set this saw up for me years ago and it does such a nice job. This rear bracket did not come with any slots for mounting so I just drilled a single hole. Under each bracket mount there is a 1/8″ thick reinforced rubber pad to help spread the load out on the roof.